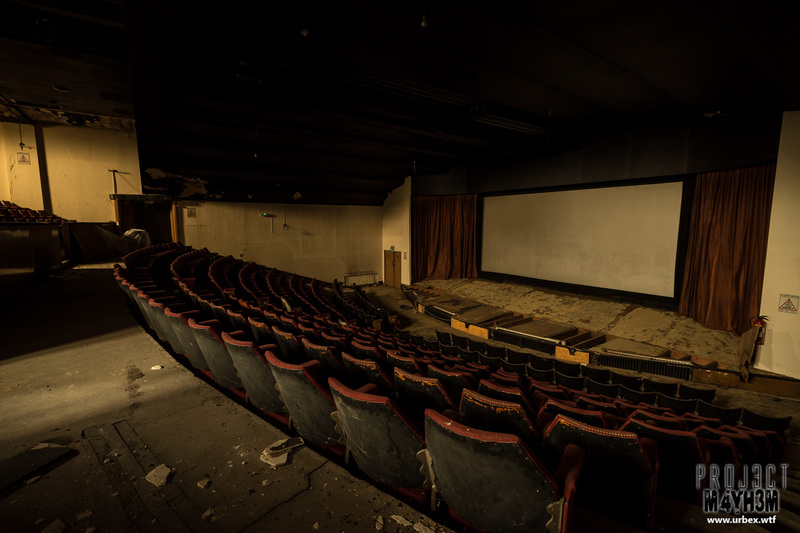 The Abandoned Cresent Cinema in Pontefract opened 2nd November 1926 and operated until it closed in 1993. Originally the Cinema had a 2 tiered layout with room to accommodate 1190 customers but this was later scaled back to a single level auditorium in 1971 with a reduced capacity of 412 as people flocked to the larger multi-screen complex in nearby wakefield. In order to accommodate the change the projector was moved into a new box built inside the roof void and as a result, a mirror system had to be installed to project the film down to the screen on the floor below. 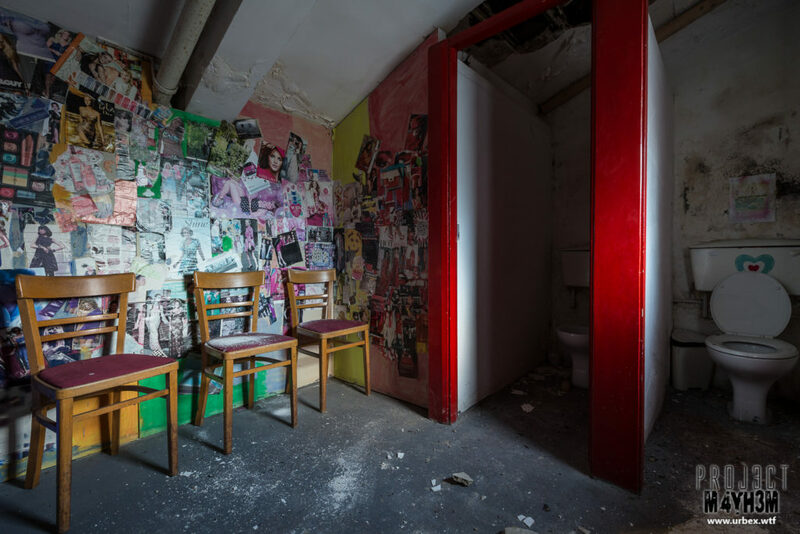 The lower level was sectioned off to form a bingo hall originally and later leased as a snooker club while a large space on the first floor was used more recently as a venue for a dance club. 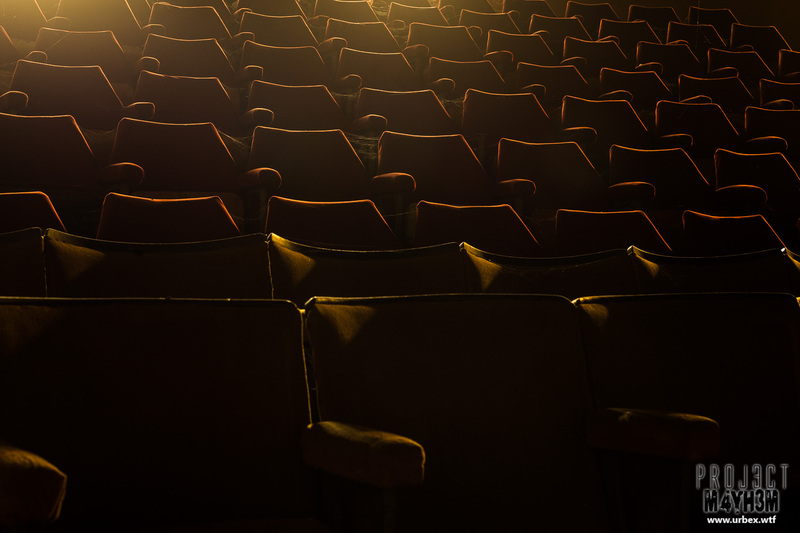 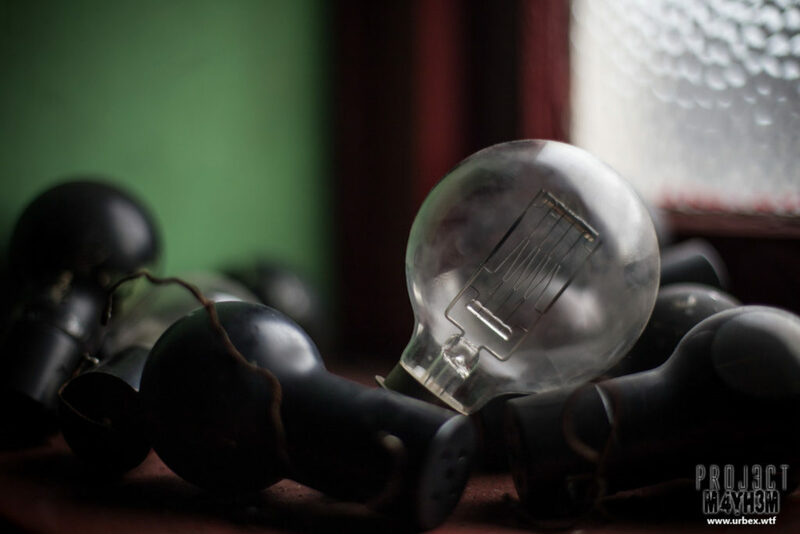 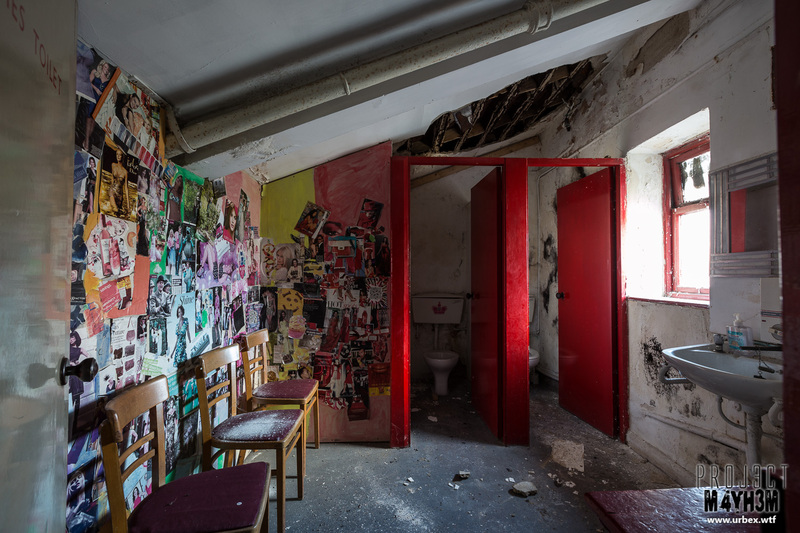 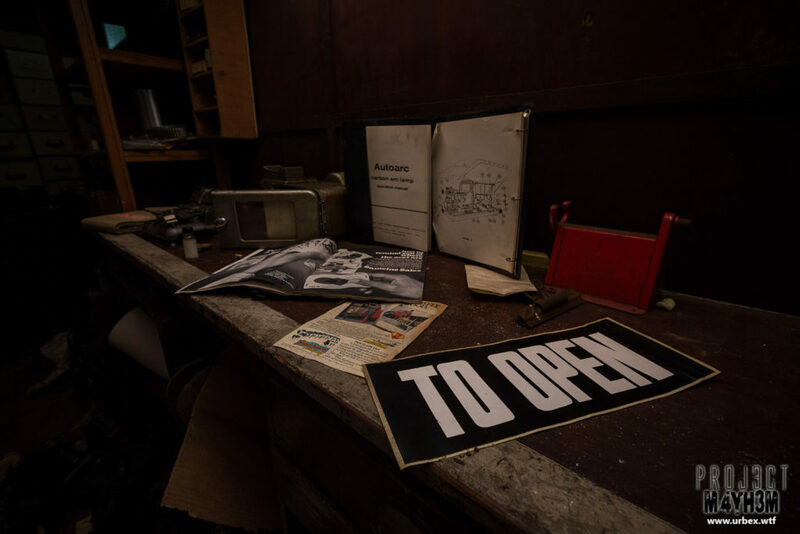 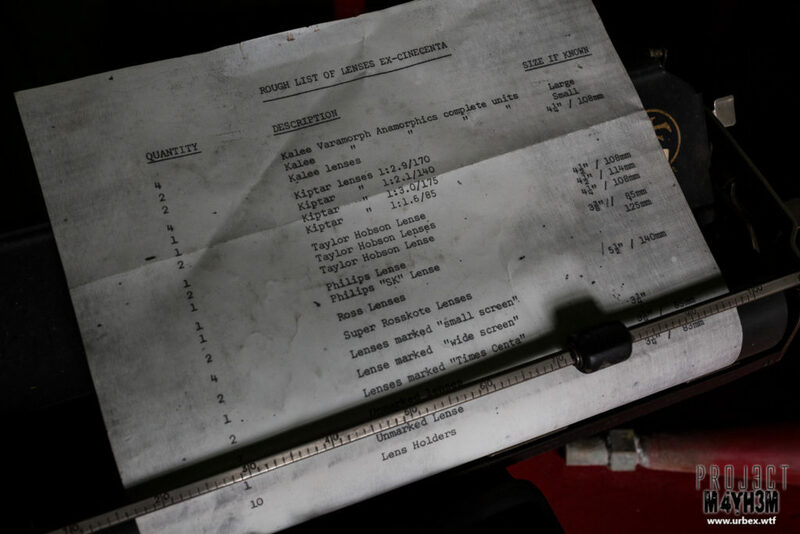 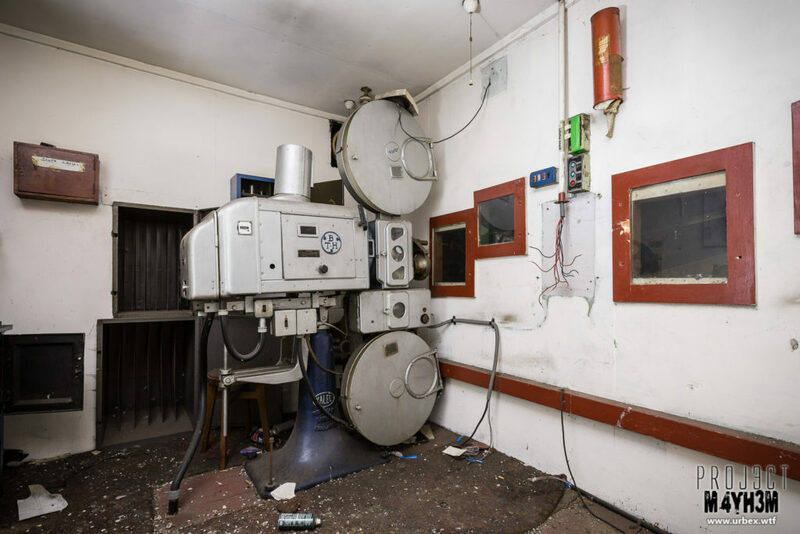 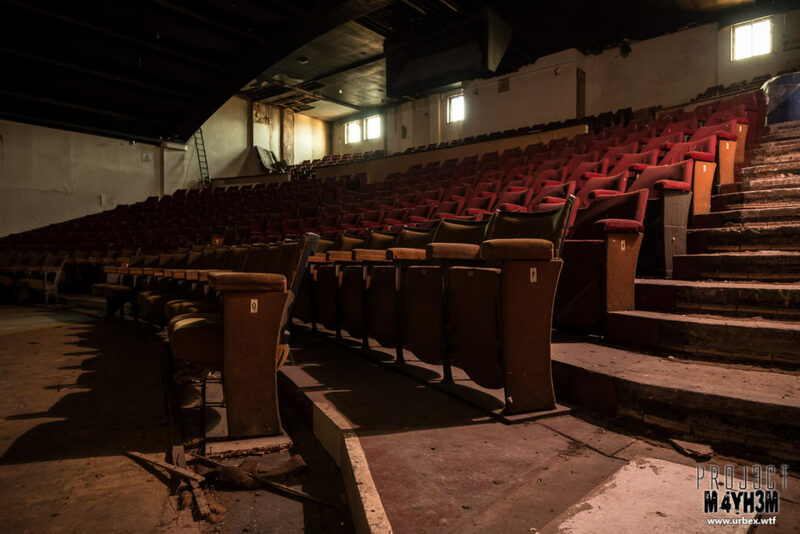 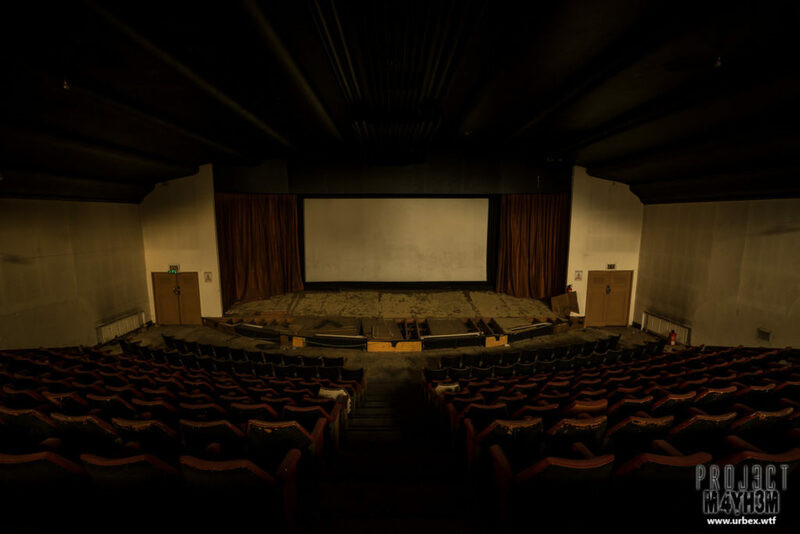 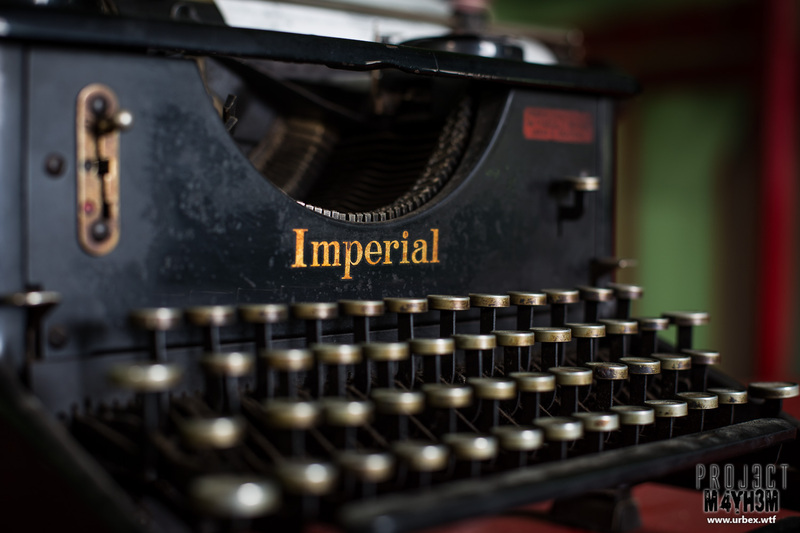 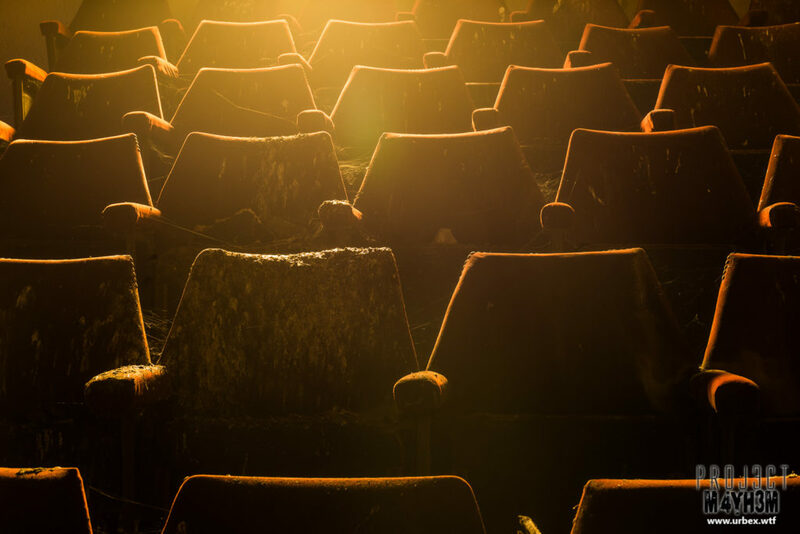 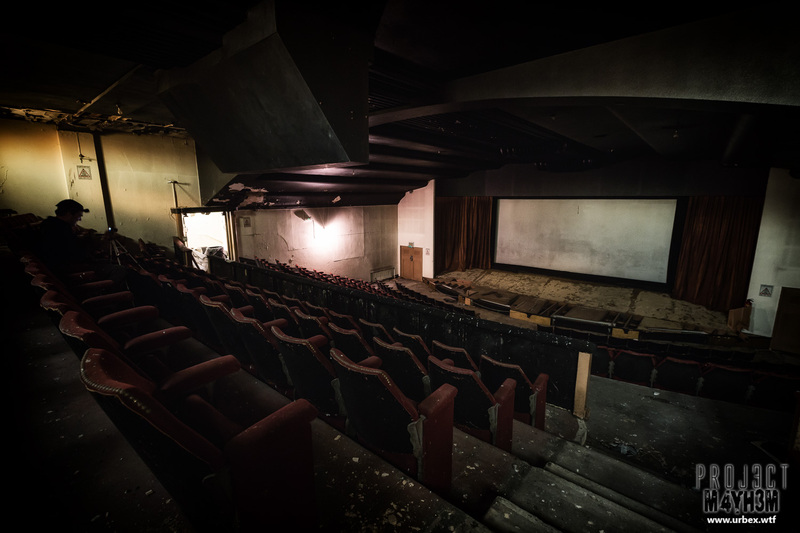 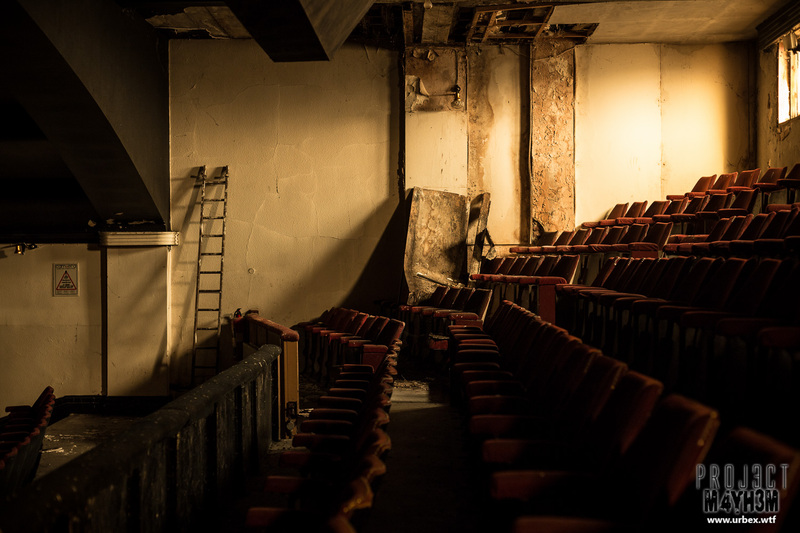 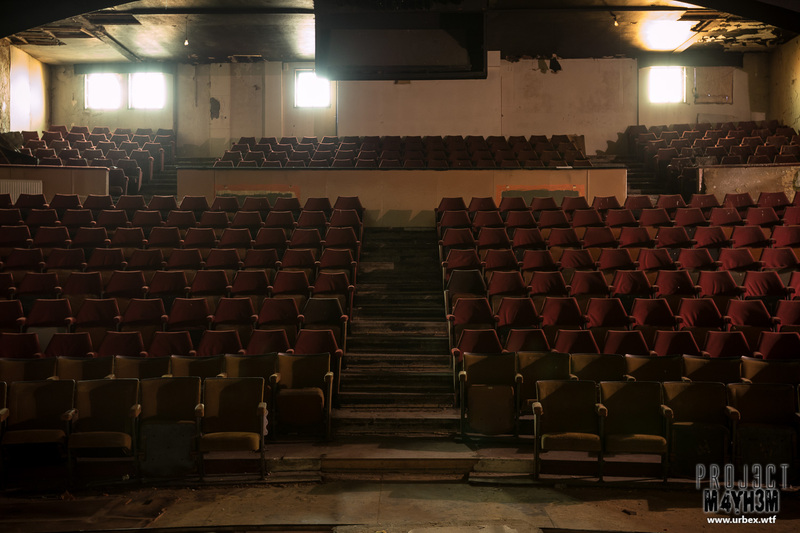 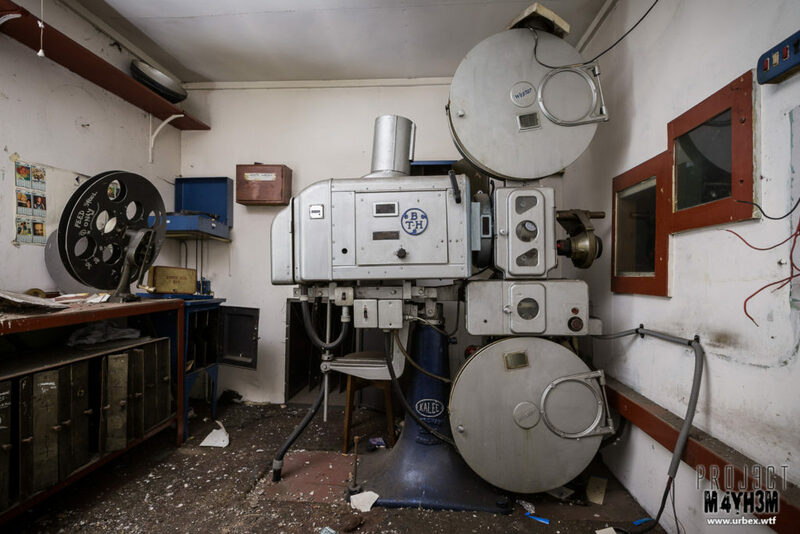 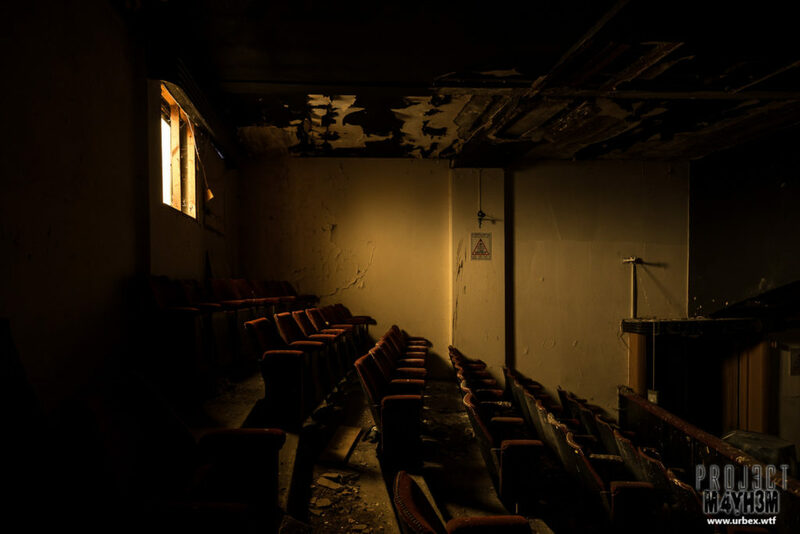 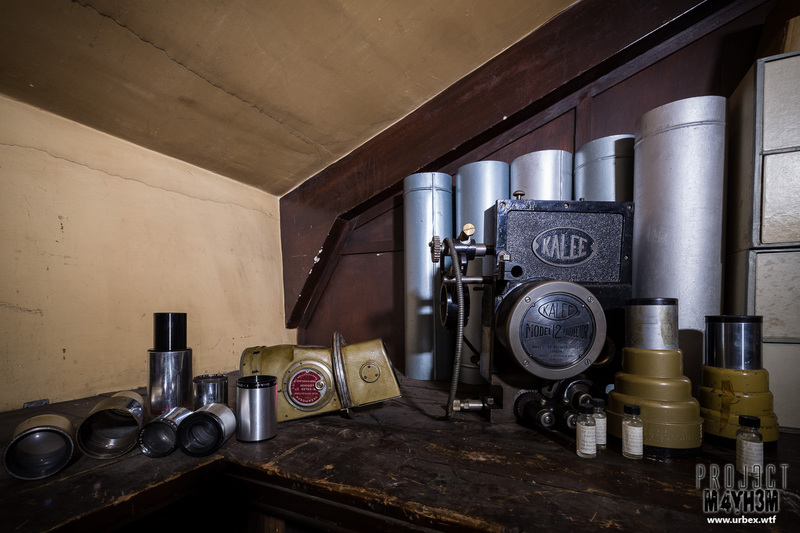 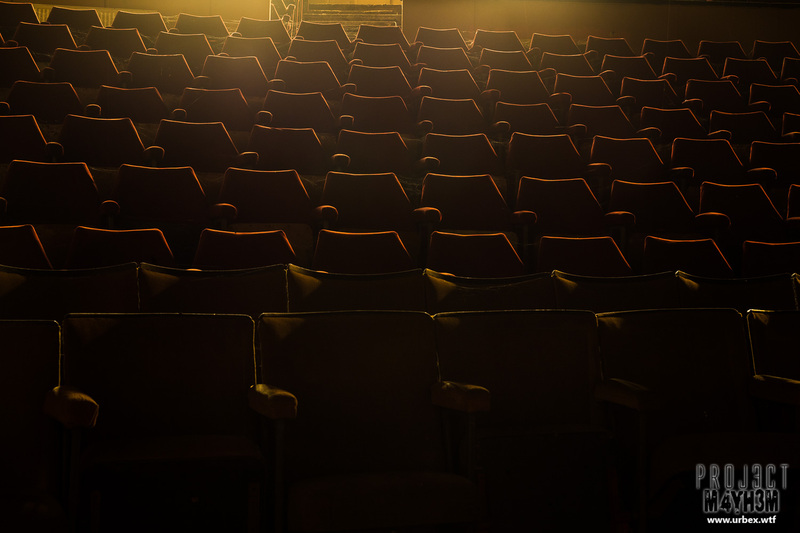 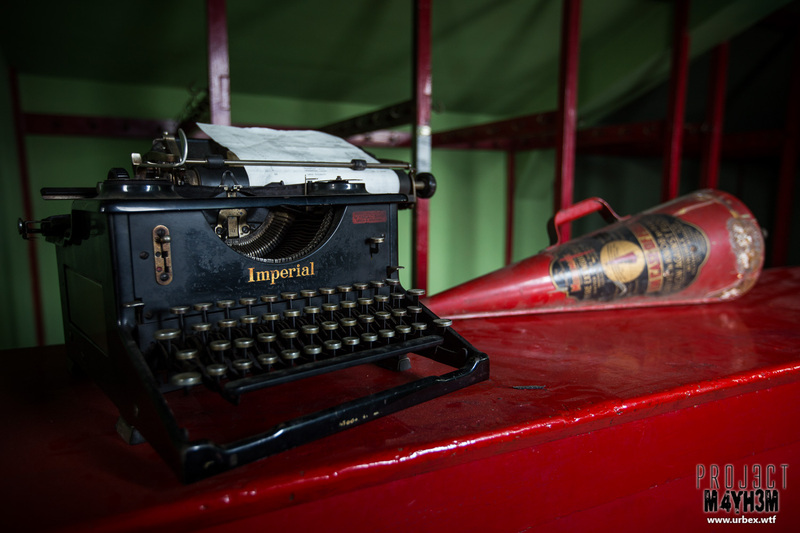 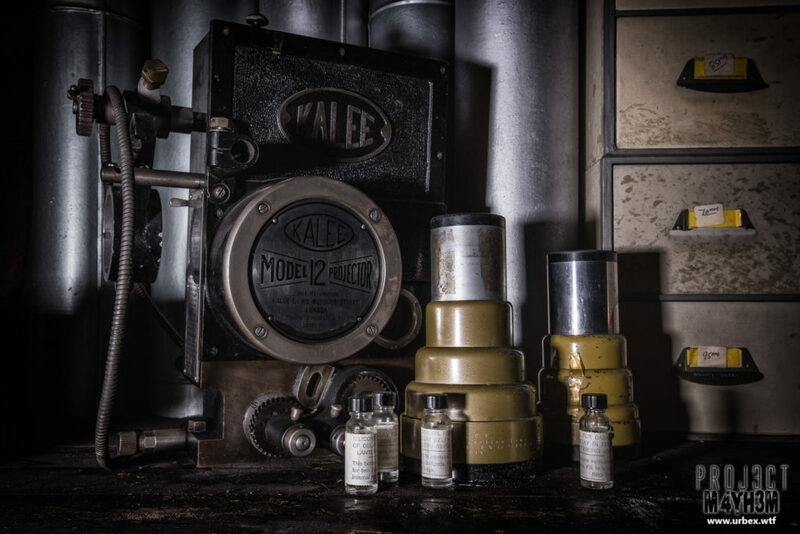 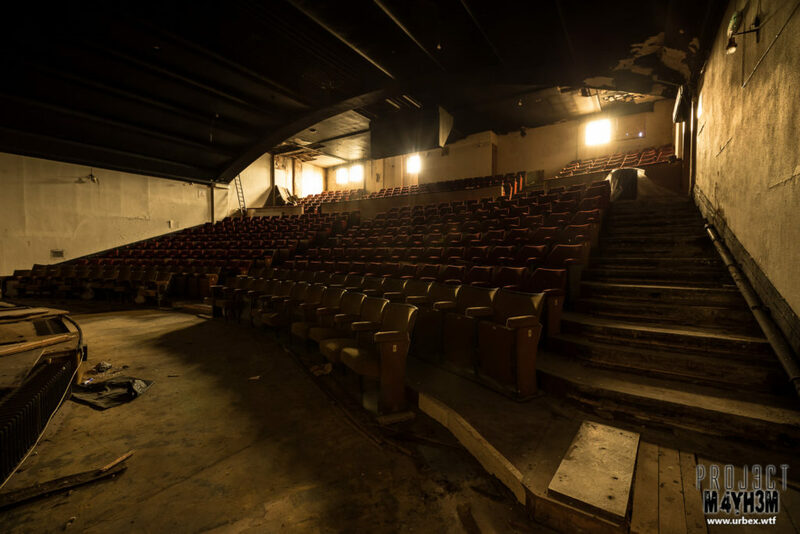 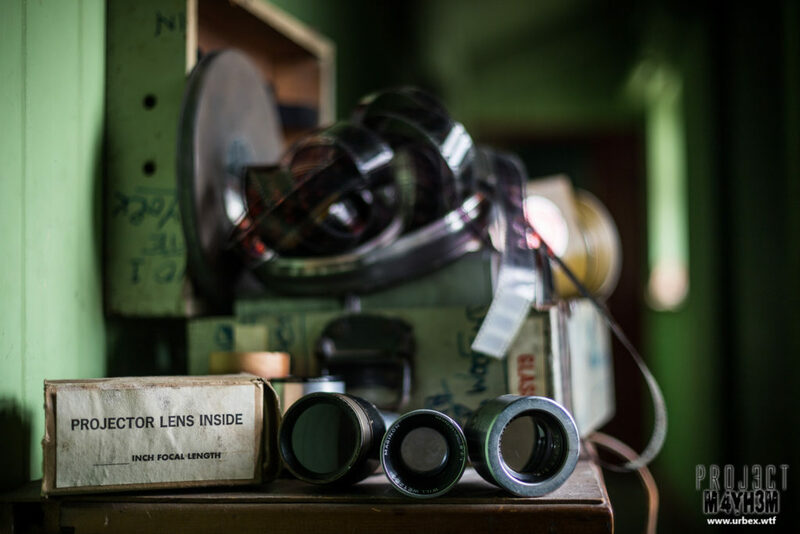 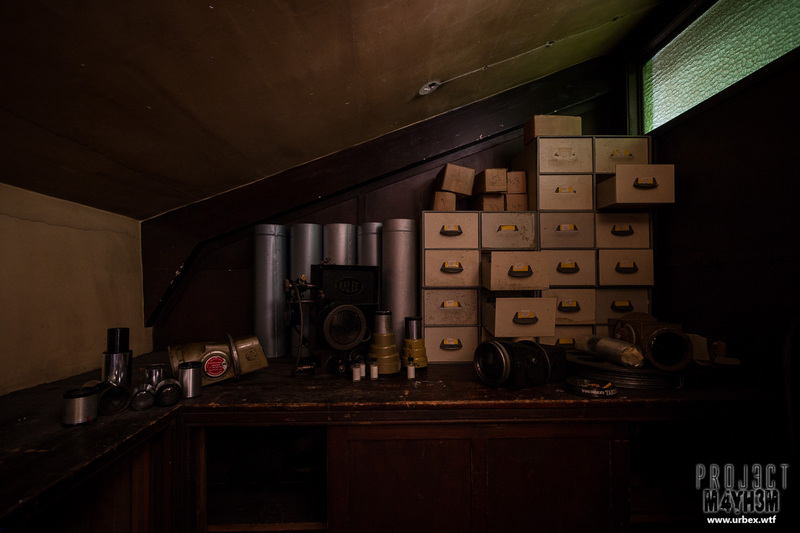 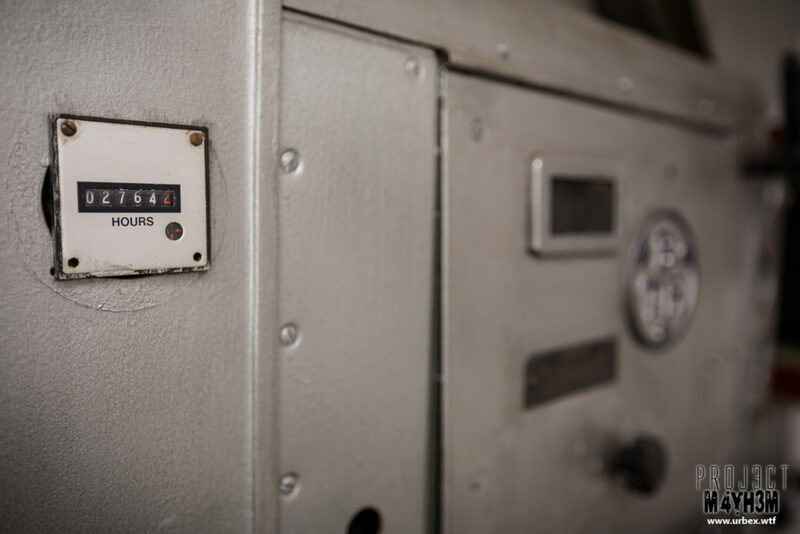 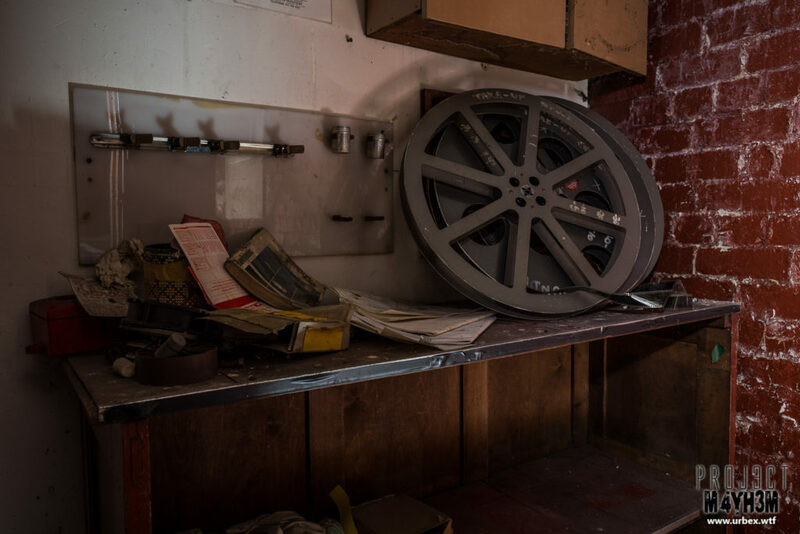 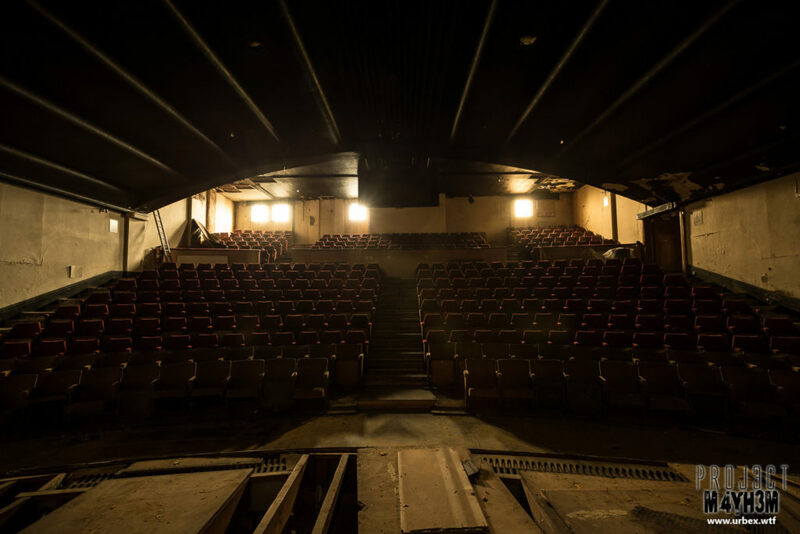 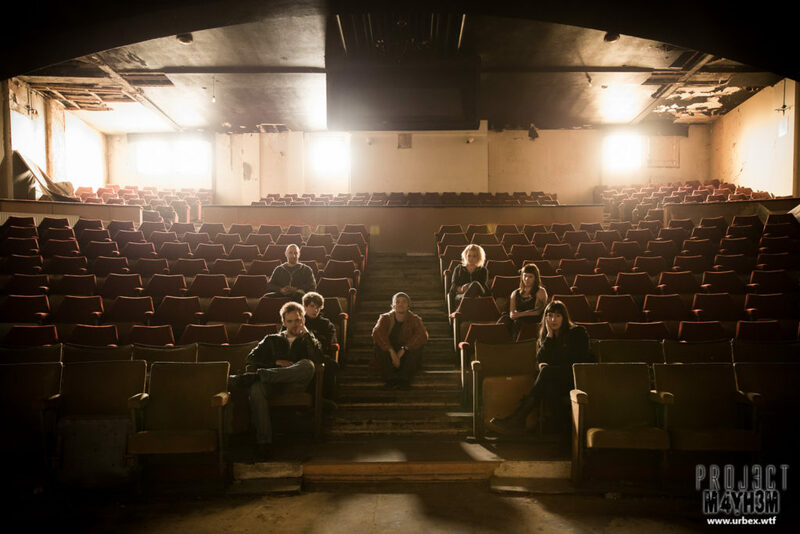 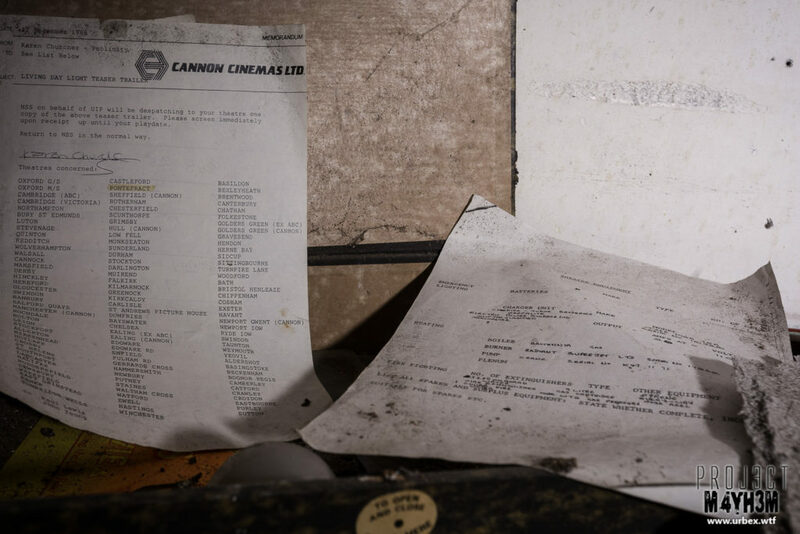 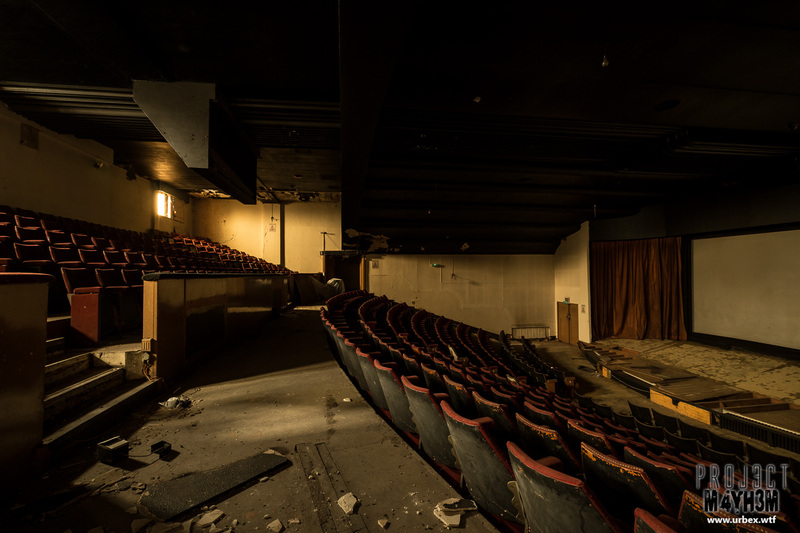 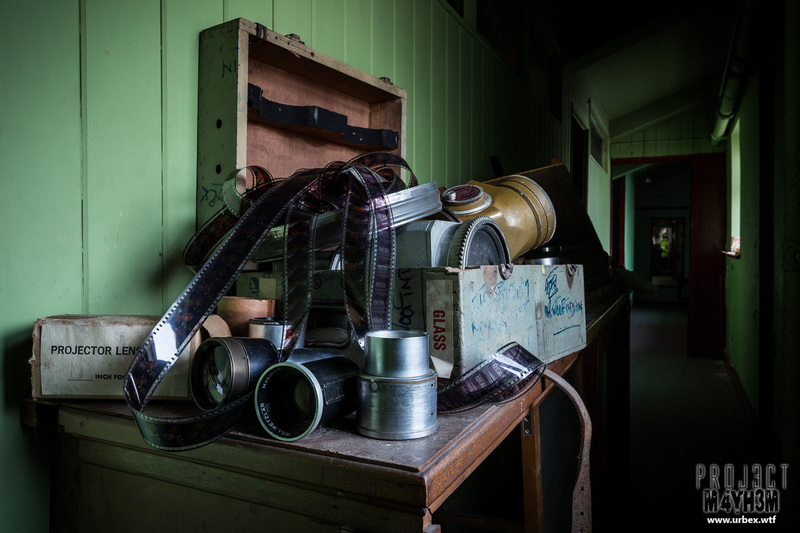 The cinema itself remains unused and complete with most of its features including the screen in perfect condition, the original projectors and lenses and most the seats.